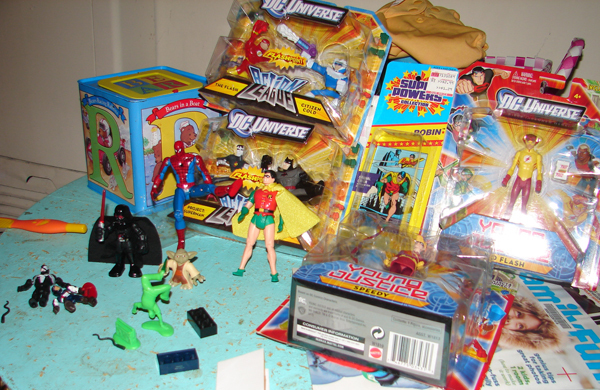 We had previously discussed his Super Powers Robin (who still has the cardback/bubble, which my toddler tried to smash to hell immediately - she's an 'opener' you see) but Chris surprised me and threw in a ton of other goodies from past posts of his, as well as some great new stuff too! 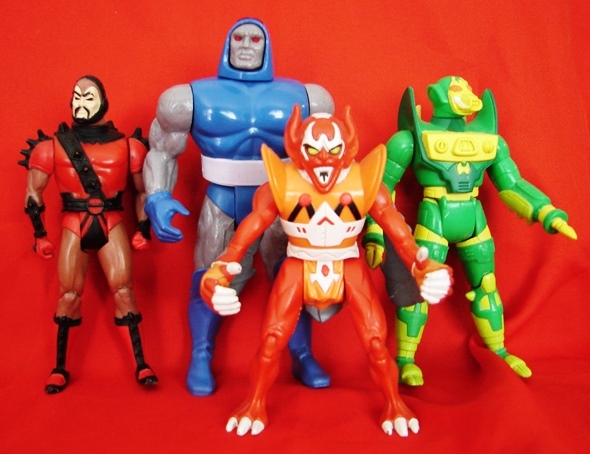 The Action League figures are great, especially in light of the upcoming Flashpoint animated movie. 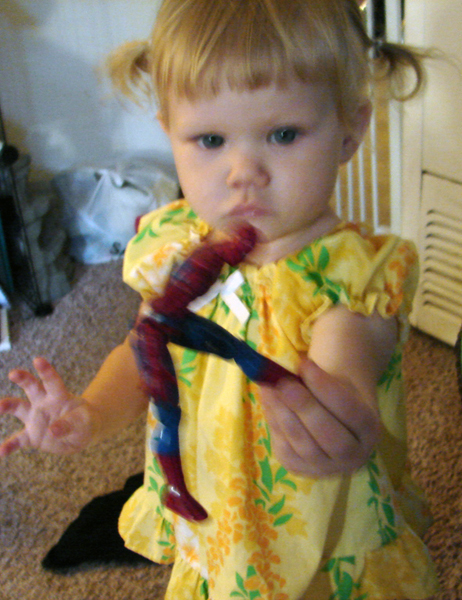 I held tight to Batman but allowed my intern to play with the others. Also included are Young Justice Kid Flash and Speedy - now I really need to get a YJ Robin! Plus, Playskool Yoda and Darth Vader, Mega Bloks Venom and movie Captain America, a little green breakdance man (and boombox and 'cardboard' pad), and a very cool early Toy Biz attempt at a superarticulated Spider-Man! The 'jack-in-the-box' and comb belong to my intern. Thanks, intern, and thanks again Chris! I'll be looking at some of this stuff more closely as time wears on!